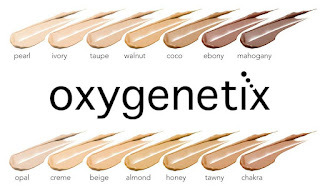 Let's re-visit one of my favorite foundations, Oxygenetix. 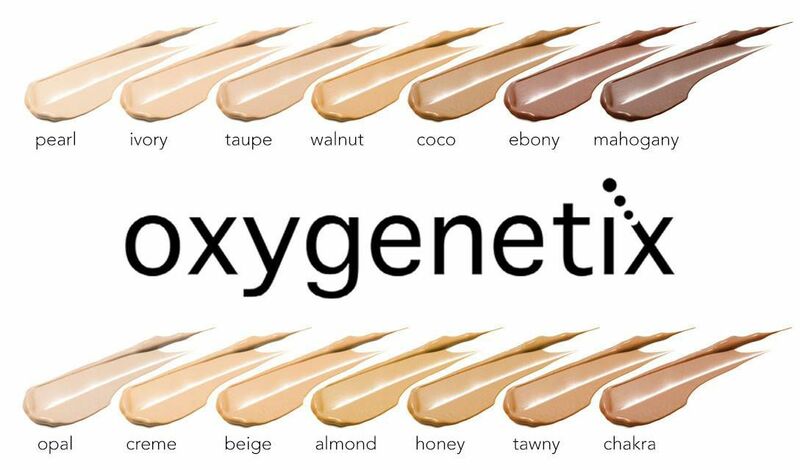 Though Oxygenetix was formulated for doctors, this "breatheable" foundation is a remarkable daily and "skin friendly" foundation. Designed to cover and treat skin injuries, wounds, rashes, cracked dry skin, acne scars, rosacea, post-surgical scars it may be used daily, because of its unique properties. The key ingredient Cerivatae is a super charged oxygen complex that proliferates collagen cells and connective tissue. Per the founder and formulator Barry Knapp, "Cerivatae does the heavy lifting with the oxygen play...". This patented ingredient is released via electrodes out of brewer's yeast and creates it's own oxygen through osmosis. It exists in the foundation and allows cells to uptake the oxygen that is needed. Therefore this foundation is 85% breathable. The base of Oxygenetix is Aloe Vera Barbadensis, the only plant grown on ships to treat wounds due to it's anti-bacterial qualities that protect compromised skin while astringently removing dead surface cells. 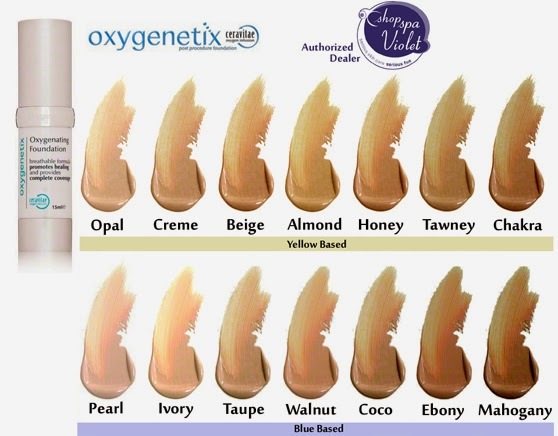 Other ingredients Vitamin E, Grape Seed Extract, Green Tea, Salix Alba Extract and Glycerin are all oxygen enriched and add to the "Perfect Second Skin" component. Oxygenetix may be applied immediately following aesthetic or ablative procedures such as IPL, chemical peels, facelifts, rhinoplasty, CO2 laser or dermaplaning to conceal any bruising or redness.